Two anti-Semitic posts have been deleted from fringe social network Gab after Microsoft, citing the content, threatened to take the site down. The posts were made by Patrick Little, who says he is running for US president and wants to remove Jewish people from America. Microsoft hosts Gab on its Azure cloud service. 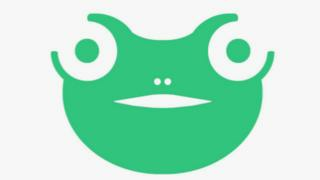 Gab’s founder Andrew Torba said that one of the posts “unquestionably” broke the site’s rules. The BBC has sent a request to Gab for comment. The social network describes itself as a platform for free speech, but much of the content on the site presents far-right viewpoints, including racist and anti-Semitic posts. “Gab’s hosting provider, Microsoft Azure, has given us 48 hours to take action on two posts, or they will pull our service and Gab will go down for weeks/months,” wrote Mr Torba on the site. Microsoft said it had received a third-party complaint about Mr Little’s posts, which were described as “malicious activity” in a message to Mr Torba requesting that they be removed. They were also described as “phishing URLs” – though the posts did not appear to contain any content that could be described as phishing. “We believe we have an important responsibility to ensure that our services are not abused by people and groups seeking to incite violence,” the tech giant said in a statement. Later, Mr Torba acknowledged that one of Mr Little’s posts “unquestionably breaks our user guidelines”. He accused Mr Little of “playing games” after Mr Little said he would delete the posts himself but did not. He added that he believed taking the posts down was the “best decision for the longevity of the platform and the war against Silicon Valley”. Shortly afterwards, Gab’s official Twitter account said Mr Little did remove the posts. However, this was subsequently contradicted by Mr Torba, who said it was Gab that had stepped in to delete them. Last September, Gab filed a lawsuit against Google after the social network was removed from Play, the Android app store. Gab has become more prominent at a time when the extent to which “free speech” should be allowed on the web is being hotly debated. In recent days, a number of tech giants have removed content by conspiracy theorist Alex Jones. Apple, Facebook, YouTube and Spotify all decided to take down some or all of Jones’s videos or podcasts, citing rules against “hate speech”. On 9 August, a man who used Gab to call for Muslims to be burnt on bonfires or gassed, was jailed in the UK for 16 months. Jonathan Jennings also threatened to kill Jeremy Corbyn if he became prime minister and said Gina Miller, a pro-EU campaigner, should be executed. He pleaded guilty to six counts of publishing or distributing written material intended to stir up religious hatred, and four counts of sending communication with intent to cause distress or anxiety.